British Airways were holding a party to celebrate the company flying out of London City airport for the last 10 years and wanted a cake at the event. We suggested that we make one in the shape of the actual plane that lands at the airport and this was the result! They wanted to tie it in with Red Nose Day and their own charity Flying Starts so we incorporated this into the plane design hence the red nose. 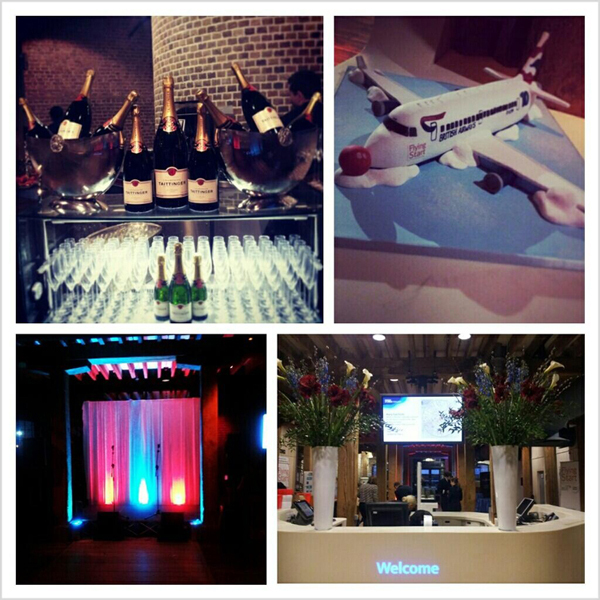 The event took place at the Docklands Museum and was catered by Create Food and Party Design. The stunning flowers were arranged by Mary Jane Vaughan. The team at Cakes by Robin have designed and created many corporate cakes for all sorts of events across many different industries. For examples of other corporate cakes we’ve done, please see our website.